Maximize your fitness and health. Simple Science Fitness contains clear and proven fundamentals, essential fitness tools, and over 400 cited links to research journals and articles. A sensible approach to a healthy lifestyle will give you results – no matter your age, weight, gender, or fitness level. It worked for us. Learn the essential truths about health, nutrition, and fitness. Learn how you can apply that knowledge for a stronger, happier, and healthier life. Personalize your diet and exercise programs. Get the numbers that are customized for you. Be empowered: Take control of your life. Make yourself a plan, follow it, and watch yourself transform. Beyond the simple message of “eat less, move more,” we’re undoubtedly in a complex environment never seen before in human history. Society has changed significantly. Technology, industrialization, and medicine enabled us to eat more and move less, and yet, live longer. Evolutionarily speaking, we’re in a sweet spot. Paradoxically though, we’re becoming unhappier and unhealthier. We’re bombarded with contradictory messages and products with unrealistic health claims. We’re becoming more confused about what really works and what doesn’t. What we have today is clearly not working. It is strange for me to provide you with evidence that supports the kind of foods we have evolved to live on. I am defending nature because as a society, we’ve become so ingrained in consuming things that nature did not engineer. Instead of balancing out our nutritional needs with a variety of whole foods and with cooking, we go to the extremes by purchasing processed, ready-made foods and trying out dangerous diets. As a result, we get extreme body types and unbalanced minds. We’ve traded the healthy norm for the unhealthy norm. The environment has ingrained in us poor habits. We are turning the obesity epidemic into a subculture or lifestyle rooted in perpetual denial and warped perceptions. Including obesity in a “love your body as it is” narrative is dangerous to society since it embraces a unhealthy lifestyle that has negative consequences on a global scale. Loving your body means taking care of it with nutrients and exercise, not with sugar and sitting. 2.1 billion of the world population, or almost a third of everybody living today, is overweight or obese. Our emotional, physical, and mental health are being sacrificed for convenience and instant gratification. We’re becoming more disconnected with how our previous generations lived. Cooking is becoming a lost art. We’re not being mindful of what we’re eating. We’re designed to move, to run, to jump, to push, to pull, and we feel better when we do—yet we prefer the couch, which ultimately makes us feel worse. We’re so focused on body image while not realizing that our body is a reflection of how well we take care of it. Being healthy is achieved though proper exercise and nutrition. Consider that a one hour workout three times a week is only 1.7% of our time. Exercise is the elixir of life, proven to boost our mind and body. Buying whole foods in bulk is cheaper than eating out, and much healthier. Preparing and cooking meals can be fun, efficient, and rewarding. The maxim “you are what you eat” contains truth. A lifestyle change can be slow and gradual. Understanding why we should take that next move is our first step. Losing weight is as simple as eating less and moving more, and building muscle is as simple as lifting weights and eating more. However, simple doesn’t necessarily mean easy. My goal is to make it easy for you, and I ask for your self-initiative. This is the only way that this can work. Do you want to learn how to become healthy and manage your health for the rest of your life? Do you want exercise and diet to become an integral part of your lifestyle, rather than as a passing fad? We have one life to live. Let’s make the best of it. Your body probably looks similar to one of these shapes. And you probably desire to be fit and healthy. Appetites are increasing and we're eating bigger portions. "I don't feel like moving." We move less and sit around more. "I can't help eating this." Donuts are delicious and sugary foods are more addictive than cocaine. "I'm always tired and in pain." Many of us are suffering from anxiety, depression, stress, obesity, diabetes, and lack of sleep. Many of us require medication. "No matter how hard I try, I can't get the weight off." We're confused and frustrated. Orange juice is bad for you, yet oranges are good? Why? Most of your meals have to be homecooked. This is non-negotiable. For every meal, eat twice as many vegetable portions as meat portions. Does it have added sugar? Don't eat or drink it! For every hour you spend on computer/television/phone screen time, match with exercise time. Too much? Then you probably can make time to exercise for just 1 hour, 3 times a week. Many of us can improve our quality of life, be happier, appear younger, and live longer just by making lifestyle changes. The solutions are here. Internalizing them is a process. Diet #1 and Diet #2 each have a combined weight of 1.2 kg. Let's break them down. Generally, the more water in your food, the less Calories you consume. Why? Because water has 0 Calories. The less sugar in your drinks, the less Calories you consume. Why? Because water has 0 Calories and sugar has 4 Calories for every gram (mL). There are 9 Calories for every gram of fat. A gram of carbohydrates and protein contain only 4 Calories each. This simple demonstration shows that Calories is king. Water has zero Calories. The more water your food contains, the more hydrated and less hungry you become. The more Calories you consume, the more weight you put on. Keep in mind, dietary fat has 9 Calories per gram vs. 4 for carbohydrates and for protein. The more nutrients (vitamins and minerals) you consume, the healthier (and less hungry) you become. Remember, sugar has zero nutrients. Note: The scale above is based on nutrient density per Calorie. It's very simple: the math shows that water has 0 Calories, fat has 9 Calories per gram, and sugar has 0 nutrients. These three variables in food composition greatly determines what makes food "healthy." Proper diet and exercise are the two core components of leading a healthy lifestyle. They have profound compounding effects that affect our overall well-being. Most of us live the common Western lifestyle, which negatively affects our well-being. Check out the causes and effects of these two very different lifestyle habits. By changing a few major lifestyle habits, you can see how by even changing one positive action can create a chain of several positive effects for your mental and physical states. By indulging in just one poor lifestyle habit (e.g. eating more sugar), it can create other negative lifestyle habits. Since the actions and causes are largely interdependent, it is easy to fall into a downward spiral. One lifestyle action can create mental and physical consequences that influences lifestyle decisions. Keep in mind, a lifestyle means it's not temporary (like "dieting"). It's for life. 75% of the world's Calories today comes from only 7 sources: wheat, maize (corn), rice, sugar, potatoes, soybean, and cereal grains. These types of foods are very different from what we've eaten for most of our existence. What makes plants and animals so great? Our species, Homo sapiens, appeared around 200,000 years ago. Bread became widespread only after the First Agricultural Revolution 10,000 years ago. The math is clear: as humans, we started eating bread for only the last 5% of our existence. Taking it further, human-like species of the Homo genus came into existence two million years ago, which means our diets were virtually always restricted to what was available to forage in the existing environment, namely plants and animals. Hence, food found in nature are what our brains and bodies were ultimately designed for. We were not designed to consume processed/refined foods such as added sugars, which became popular barely over 200 years ago. Nutrient-dense foods are essential, which means that it's exactly what your body requires in order to function properly. When you load up on junk food, sugars, and low-quality fats, you're getting all of the Calories and none of the benefits. Nutrient density is what keeps you full – and keeps your body from overeating. Healthy meals are made from whole foods, namely plants and animals, that you combine and cook. They contain the highest concentration of nutrients. Sugar, flour, salt, and fat are the main ingredients in food products that are high in Calories and low in nutrients. Unhealthy meals are made from sweet and sugary foods, corn-, soy- or flour-based products, refined/processed foods, and almost anything that came pre-packaged or pre-cooked. They contain the lowest concentration of nutrients. Buy and consume whole foods. Homecooked meals made from fresh, whole ingredients are health-promoting. Restaurants, fast foods, pre-cooked packages (e.g. microwavable dinners) and processed stuff (e.g. macaroni and cheese) mostly serve meals that are fattening and unhealthy. Looking at these two, are you feeling full or hungry? How much of each can you eat in one sitting? The Simple Science Fitness Diet focuses on nutrient-dense food sources based on the SSF food pyramid, list of essential foods, and energy-health graph. You can follow the diet by using the suggested recipes or the healthy plate diagram. The SSF Diet is the least restrictive compared to other popular diets and arguably works just as well, if not better, due to the flexibility, variety, balance, and ease of incorporating into a sustainable lifestyle. In premium, you can learn about all the pros and cons of well-known diets including paleo, keto, Mediterranean, vegan/vegetarian, and MyPlate. Based on the SSF Food Pyramid, this is what your ideal plate would look like. Note: The above is an average. In Premium, you'll see how the plate ratios change based on workout days and rest days. Note: The above is an average. In Premium, you'll see how caloric intake ratios change based on workout days and rest days on a cut or on a bulk. If each food group was a superhero, they would (on average) contain these nutritional profiles. The superfood group. The most nutrients you can get in the fewest Calories. A unique superpower. Lowest in carbs and highest in protein. Plus, high in nutrients while being moderate in fat and Calories. Nature's candy. You typically get a sweet offering with benefits. However, the less sweet, the better. Well balanced, but not as efficient as the vegetable-meat combo. Most breads don't count. As long as they are fermented, they pack a punch. But don't overconsume, since they are high in Calories. Incredible all around, but only meant to be consumed in small quantities since they are high in Calories. For comparison, here are some unhealthy food profiles. High in low-quality carbs and Calories, with fat added. High in low-quality carbs (added sugar) and Calories (added fat). Below is your weekly checklist to stock your pantry and fridge. It factors in your required nutrients to make healthy meals. Afterwards, we'll learn how to cook with these ingredients. The following selections would allow you to assemble exclusively healthy meals. Supplementation requirements depend on your fitness goals, health, and diet. Most supplements are a waste of money but there are a handful that have been shown to provide potential benefits. The most beneficial are whey protein, vitamin D3, fish oil, creatine, and caffeine. Supplements can't help a bad diet. "But I don't have time!" Consider the time it takes to travel to a restaurant, wait for a meal (and dessert), wait for the bill, then consider the time it takes to travel back home. You could argue it's quicker at a fast food restaurant, but it's certainly not healthier or cheaper. Cooking can actually save you time if you make lots of it in one go to produce leftovers. For example, one can make from scratch shepherd's pie, jambalaya, and chunky chicken soup in 1.5 hours. That's a lot of meals. "But healthy foods are expensive!" Not necessarily. I'm not talking about healthy food products, but rather whole foods. While prices of whole foods do vary by location, it's important to know what is inexpensive in the region you live in. For example, if you live near the coast, fish is likely cheaper. Also, buying food in bulk or buying from a local market will save you significantly more than from most commercial grocery stores. Lastly, do consider that individual and societal medical- and health-related costs can be significantly more expensive. "But I'm tired and I'm not motivated!" Hunger is one of the most motivating human forces, and making a quick meal is as simple as simmering buckwheat or quinoa, blending a shake, or microwaving a meal out of 12 Days of Chicken. Add in an apple and some almonds and you'll feel like having more motivation. Bamboo cutting boards are great at resisting moisture so that bacteria doesn't form. It's also strong enough to take on the sharpest of knives. One high quality chef's knife is all you need for all of your chopping. These essential utensils help measure out your ingredients and put them to use in your cookware. Wooden spoons don't scratch up your cookware and don't conduct heat. In most cases, one large cast iron and a good pot or Dutch oven may be all that you need for the coming decades. Whatever you choose, here are the highly recommended choices. You likely already have an electric or gas stovetop, so you don't really need an induction oven. What's great about an induction oven is that it heats quickly, is easy to clean, and takes up little space. Note that induction ovens only work with cookware that contains iron such as cast iron, Dutch ovens, or some stainless steel. Not essential, but these items can be very useful and convenient. Make all kinds of stir-fries, soups, and stews with this simple cooking method. Select three or four bases (aromatic vegetables) and chop into small, uniform pieces. Cook with an oil or fat, stirring occasionally, at medium temperature for 10–15 minutes. The bases are finished when they appear soft and "sweaty." While you are cooking your base, pick one (recommended) or two types of meat. Cut into pieces if required. Slather on salt, plus any appropriate herbs, spices, and seasonings. Cook separately with an oil or fat at medium heat until the meat is browned and cooked properly in the center. Next, pick a liquid stock (e.g. water, broth, milk, wine, beer). Add more water if you are making a soup. Lastly, mix in the base, meat, and stock with one or two starches (e.g. potatoes, beans, lentils, rice, quinoa, buckwheat). Cook covered at simmering temperature for about 30 minutes, stirring occasionally. Feel free to add in more vegetables. What's the Point of Exercise? The Basics / Exercise / Why Exercise? Aside from the fact our bodies were designed to run, jump, climb, crawl, and lift, there are numerous mental and physical benefits that contributes to overall happiness. If you have time for TV and Internet… Besides, you can have a solid workout in just 30 minutes. "But I don't have money or space!" Bodyweight fitness is free and can be done virtually anywhere. Post-exercise gives you an energy boost and helps you sleep better. External factors are not responsible for your personal well-being. Since you are in full control of your body, your health is in your own hands. This question has been asked a million times. The solution is really, really, really simple. Simple, but not easy. It is human nature to choose the path of least resistance. In other words, most people are lazy and tend to make excuses. If you really want to build muscle or burn fat, you'll have to put in some physical effort beyond a proper diet. In this illustration, you can see how time under tension works. In the lowering phase (eccentric movement), the bicep is resisting against gravity and the weight of the dumbbell. When full range of motion is achieved (lengthening), the bicep can then contract (concentric movement). Ideally, eccentric movements (with gravity) should be slower while concentric movements (against gravity) are "explosive." Resistance weight can also be your own body weight against gravity. Like push-ups or pull-ups. If the weight is heavy enough (not too heavy), there are a limited number of repetitions the body can endure per set. There is an interdependent balance between our abilities and limitations, mentally and physically. "Resistance training" is a type of hypertrophy, strength, or weight lifting program. It falls under the sweet spot for not only its benefits, but because it is the most efficient type of training. Resistance training workouts can be achieved for only a few times a week and for as short as 30 minutes per workout. A single high-intensity workout uses up Calories. That high-intensity workout gives metabolic and hormonal benefits for up to 48 hours. Energy (Calories) is required to repair and build muscle. Increased muscle mass means more food energy (Calories) required to maintain that new muscle mass. Essentially, when combined with exercise, you could potentially eat a few hundred extra Calories per day just to maintain your body weight! Resistance training is the most efficient way to build muscle and to burn fat. Of course, you can get excellent exercise through sports, swimming, or climbing, among many others, but when it comes to the trade-off between results and time, resistance training, especially at high intensity, gives you the best value. Building upon physiological challenges to adapt mentally and physically, in order to see improved fitness results is called progressive overload. The more you can lift and the longer you can last, the stronger you have become. Don't expect overnight changes or miracles. It takes time and consistency. You start with your own unique baseline, and you build from there. Remember, your progression also depends on the quality of your diet and sleep. Calories are your fuel. But the quantity and quality matters. Track your diet and your workout progression with pen and paper, or with recommended apps such as MyFitnessPal and Strong. Get started with one of SSF's exercise programs. The following six powerful compound exercises work your entire body. They are essential movements and are the foundation of your physical abilities. Described as the king of all exercises, squats work primarily the legs and is often considered a full-body exercise. The barbell squat is probably the most intense yet rewarding of all exercises to perform. Front squats are a superior alternative or addition to the barbell (back) squat. Also known as the barbell military press, this excellent shoulder exercise also works on the arms. Often competing with squats for the king of all exercises, this powerful movement works the entire posterior chain. Deadlifts are also taxing on the central nervous system, so short and heavy are usually enough. If you cannot deadlift due to an injury, a combination of planks, ring rows, chin-ups, and dips may help. The chin-up is a powerful exercise for the lats and underrated as a bicep builder. Beginners will often struggle with only one or two reps, but over time, even weighted or leveraged chin-ups would be possible. Chin-ups are palms facing toward the body while pull-ups are palms facing away. Arnold Schwarzenegger considers the chin-up to be the best bodyweight exercise. Often included in the "big three," this chest exercise is also a good arm builder. Push-ups are an excellent alternative when using body leverage and with gymnastic rings. An exercise that works the full back, including traps, lats, and rhomboids. If doing the barbell row, ensure that the movement starts and ends with the barbell on the ground. Gymnastic ring rows are a fantastic alternative and is preferred for injury prevention. If you are comfortable working out alone, then a home gym is a convenient and excellent long-term financial investment. The recommendations below are all that are necessary to build an effective, quality home gym where you can perform many exercises, including the Big Six Lifts. Gym memberships are useful when accessing equipment that you don't have at home. It may be motivating to work out with other people, and it's low-cost only in the short term. If you are an absolute beginner, unsure of how to do proper form and technique, or would like to have guidance and motivation, working with a personal trainer can be a worthwhile investment. T-shirts, shorts, and athletic wear are suitable attire to wear for training. Many enjoy listening to songs with portable music players. For footwear while doing heavy weights, flat-bottomed shoes such as the Converse Chuck Taylor and Vibram Fivefingers are recommended. Some go barefoot while working out at home. The Vibram Fivefingers are also useful for running. Make yourself comfortable in your training environment. “I may have managed to unlock the secrets to exceptional fitness. Here's my story. During my teens, I was strict about my diet and fitness. Or so I thought. And I worked really hard. Somehow I wasn't seeing results. Everyone believed in the well-known dietary guidelines from the government, media, and even science, including myself. But I couldn't seem to shed off that excess fat. I struggled to see that elusive six pack. 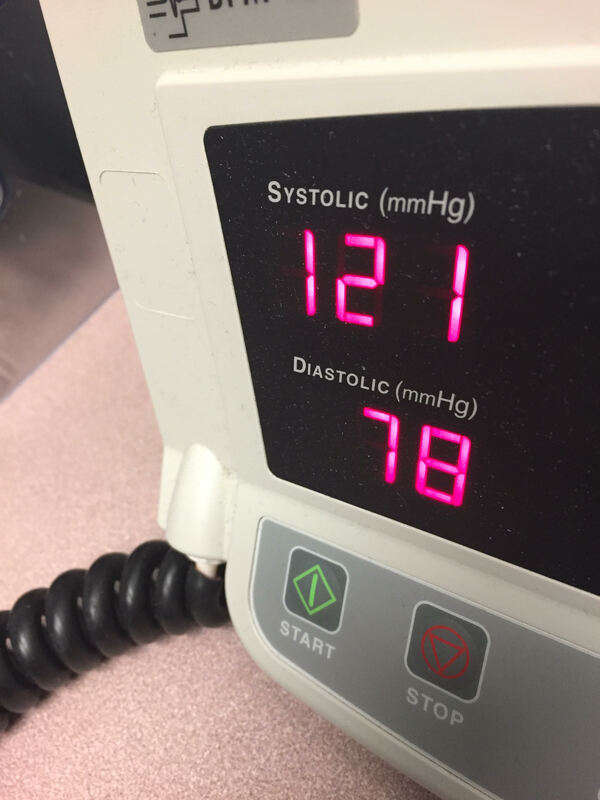 Despite all my best efforts, the last straw was when I found out my blood pressure was too high. Misconceptions, outdated information, broscience, corporate greed, however you want to call it – there were way too much of them. After trial and error and extensive research over the years, I pieced together solutions that worked. And it worked very well. At first, I packed on serious mass up to 215 lbs on my 5'10" frame. It was when I effortlessly burned off 40 lbs in 4 months that everything clicked together. After getting a NCAA-accredited certification in Personal Training, and now, at a lean 190 lbs in my mid-30s, I am the healthiest person I know. Despite having obesity genes [1, 2, 3, 4, 5] uncovered from genetic testing, I have the health of a teenager, as my doctor claims, given my excellent blood work and ideal blood pressure. “Lazy, impatient, indulgent – not my best qualities. Especially when I want to meet certain fitness goals: 1) looking 'toned' but not bulky, 2) keeping my energy up, and, 3) feeling good about myself. Join one of the thousands of members on our health and fitness journey. Being fit is simple, but it isn't easy. Learn how to make eating and exercise easy—all validated by science. Your current and goal weight in lbs, kg, or bf%. Optional periodic e-mails with the top fitness news, tips, site news, and promotions. Upgrade to Premium Membership anytime. The Internet's greatest fitness manual and simplest 12-week program. Expanded Content: Additional key knowledge beyond the basics. Contains content from the Premium Membership site. Redesigned for your tablet, printer, or e-reader. The author's personal and insightful anecdotes. Case scenarios for weight loss, weight gain, and lifestyle & health. Worksheets for SSF training programs. Receive periodic fitness news, tips, motivational quotes, site features and updates. Join Team SSF to subscribe.